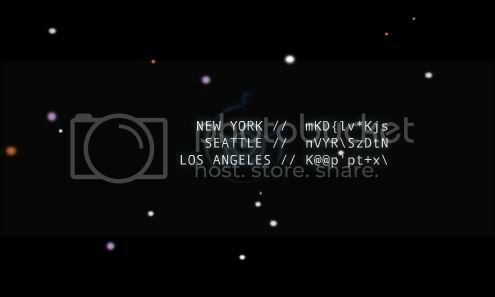 "Discovered" by KLind on August 2, 2007, this Glyph appeared in an email titled "Halo 3: The fight comes home on 9/25." How this Glyph went by unnoticed until August is beyond me (Avateur), but the really interesting bit is how this Glyph showed up almost a month before Iris began. Shortly after 1 AM PST several members of B.net recieved emails from Xbox Flash with a cryptic poem inside. It appears to have two titles: "Look for the signs, Keepers of the Flame" and "Forerunner Email." Forerunner glyphs were noticed, not only inside the email (above) but also on Master Chief's visor at Halo3.com. The third glyph found was AdjutantReflex's icon on Bungie.net, named "Chrysopteron." 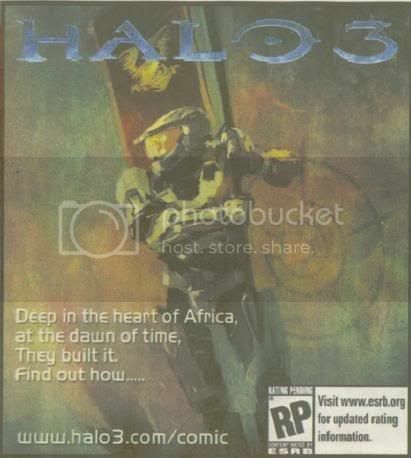 The fourth glyph found is located on the last panel of the comic at halo3.com/comic. The sixth glyph was found in a newspaper ad meant to debut in the US on Sunday, June 17th. Needless to say, it was discovered (in the UK, if I remember correctly) days in advance. 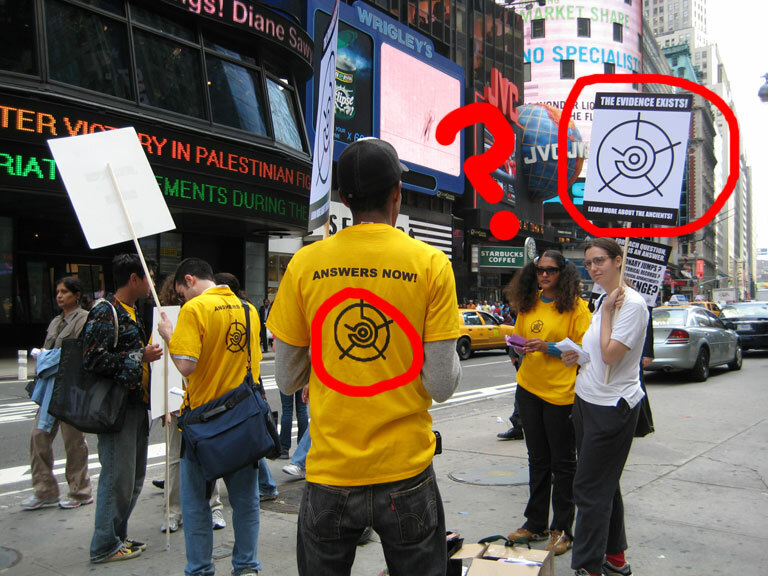 Members of the SOTA organization were spotted in Times Square in New York City wearing yellow shirts and holding picket signs with the glyph (above) emblazoned on them. They were also handing out flyers. AdjutantReflex, after being over-run and replaced by an unknown "superior" entity, had its "Chrysopteron" glyph changed. This screenshot was taken from the Server 1 Open page and enhanced, showing another glyph. After logging in to the Server 1 Open page, a rotating artifact reveals itself. 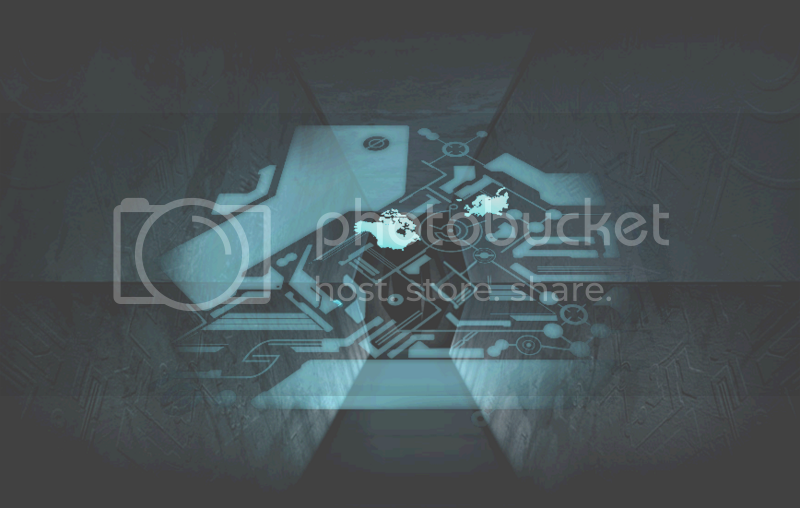 Located on the object are five glyphs, one lit up. Taken by sorahn from a cafeteria at Microsoft. Albyno Ryno from the CompoundIntelligence forum took these pics while at work at GameStop. The images are big, so one will be posted and the rest will be linked. On July 6th, 2007, ABO poster nattyhaze Googled "Flood Containment Control" and found a series of advertisements on various forums (including Craigslist) that were posted on July 5. This glyph was found on nearly every advertisement. 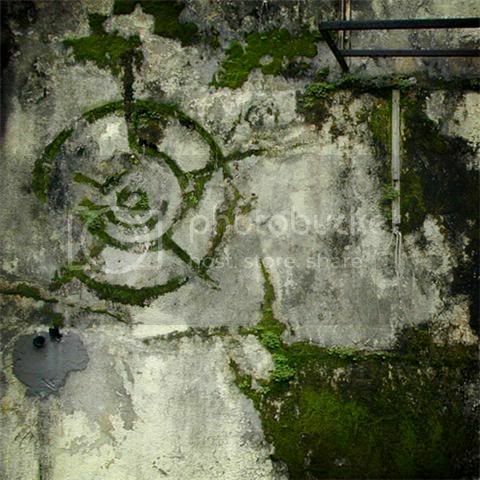 All information surrounding this glyph can be found here. At approximately 5:49 PM PST, AshofPompei embarked on a quest to find an Xbox 360 kiosk pointed out to him here. He found a new glyph, a hidden message, and what would eventually lead to the unlocking of Server 2. During the frantic search for the Server 4 Bounce Path Control page, the avid followers of Iris stumbled upon a new IP address with a Glyph in the background. 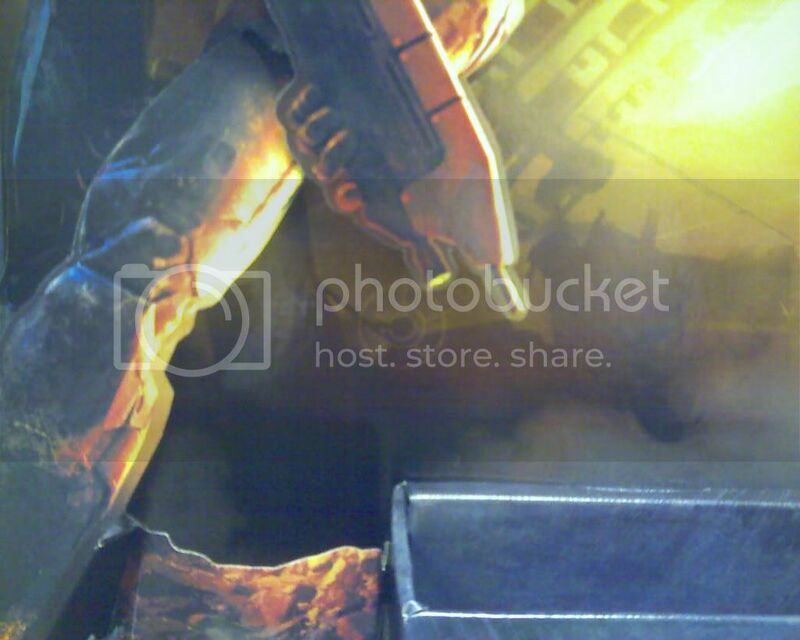 supremely pointed out a new Master Chief cardboard standee at GameStop with a Glyph located on it.